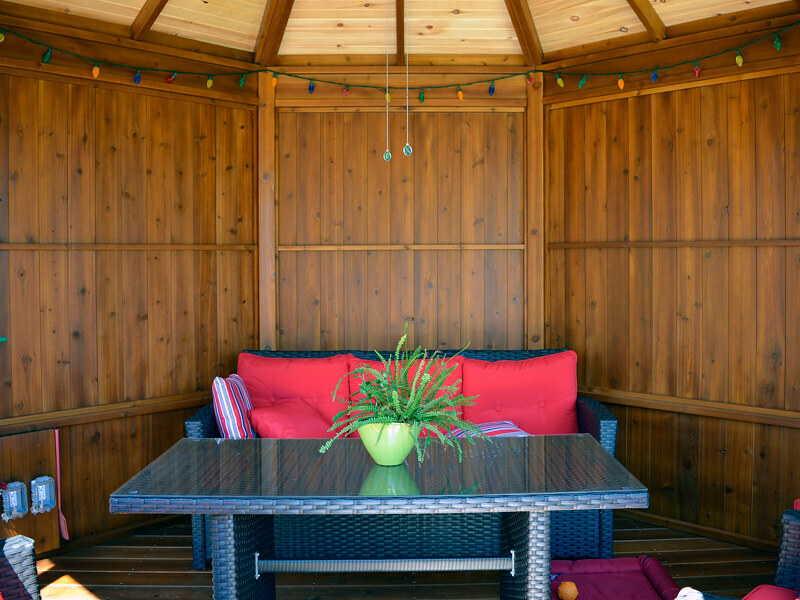 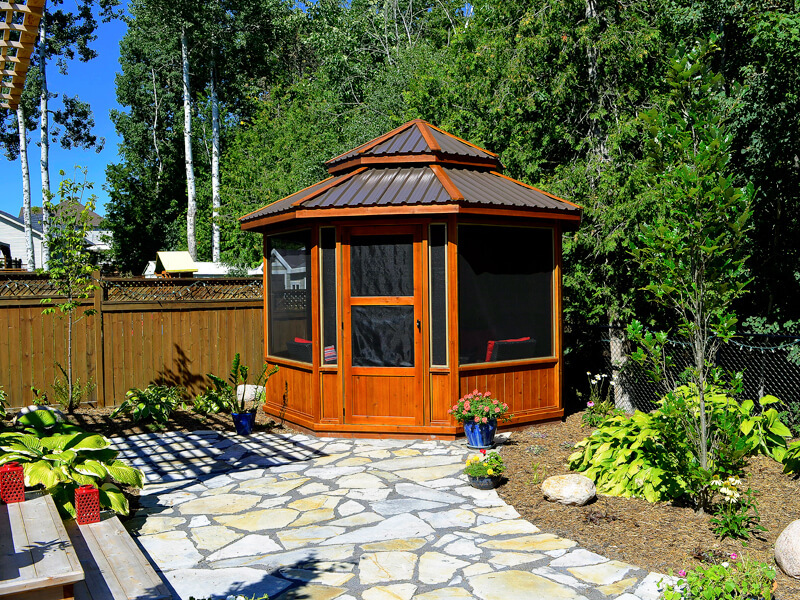 Whether at home or at the cottage, a gazebo will allow you to extend the pleasures of summer. 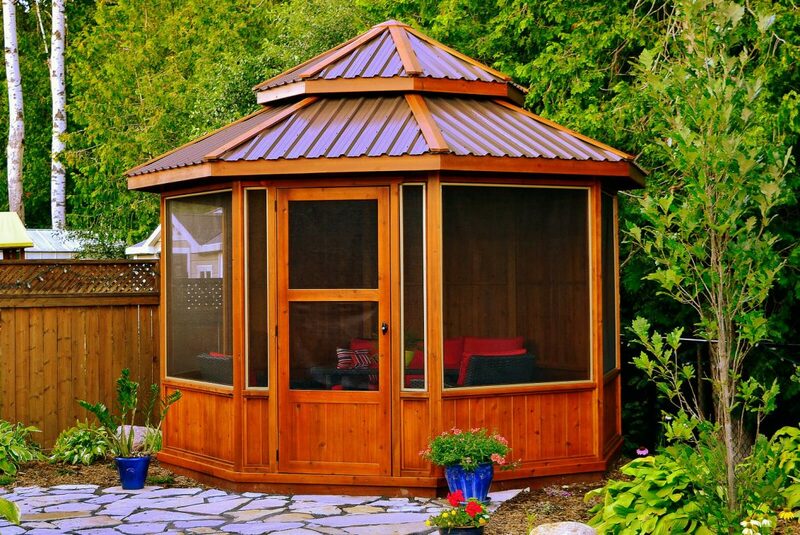 You can choose to extend it to your home or a single area in your yard. 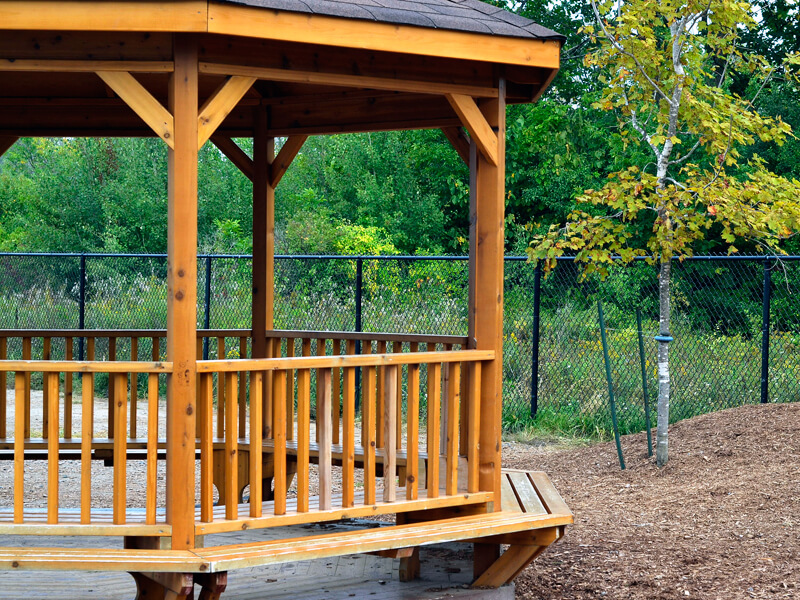 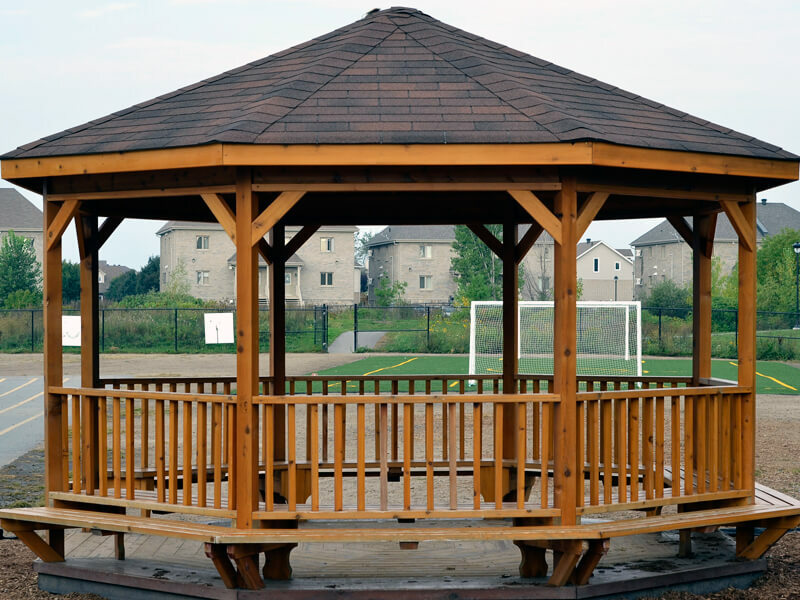 Our gazebos are designed and manufactured at our local shop in Aylmer. 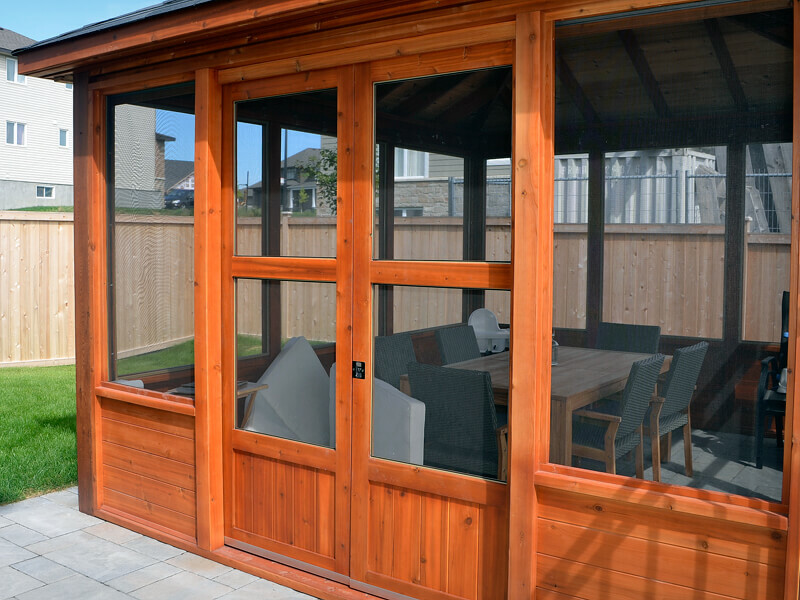 Our construction process is unique and durable. 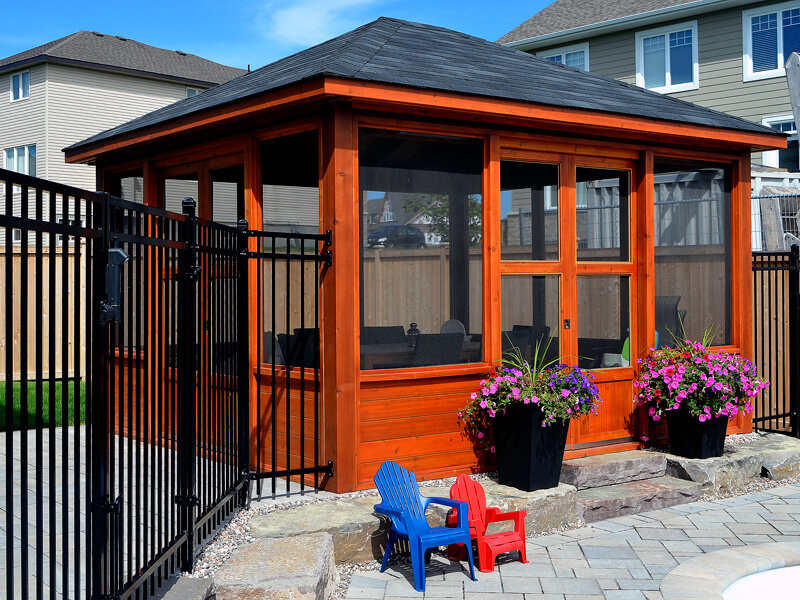 All our structures are built to your specifications. 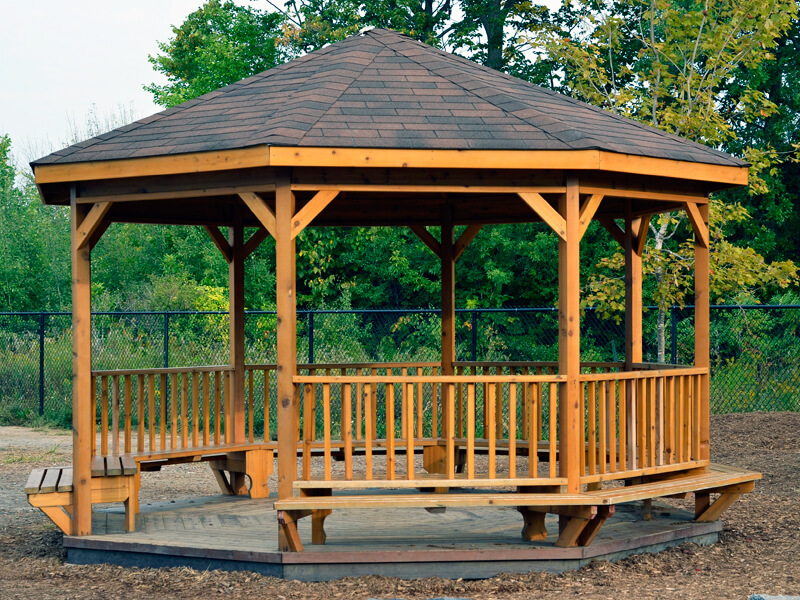 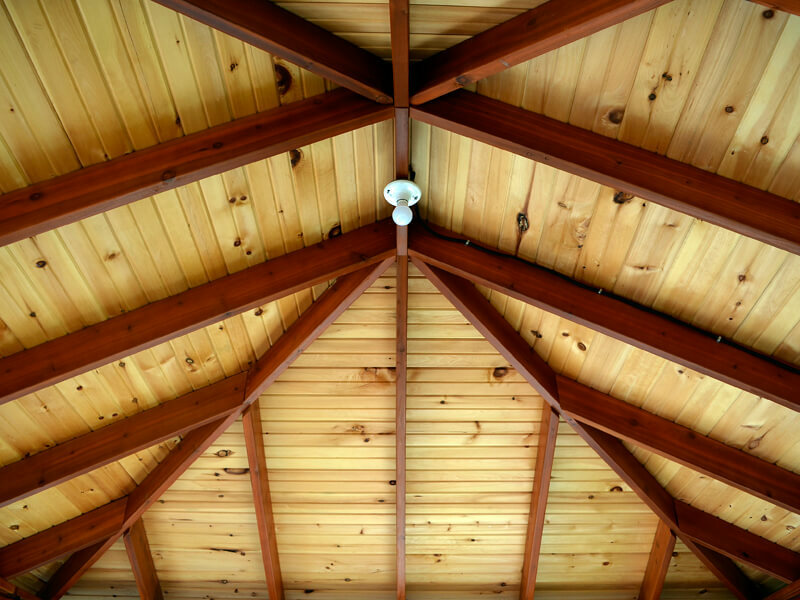 Whether you want an octagonal, rectangular or square shelter, our qualified team takes care of it. 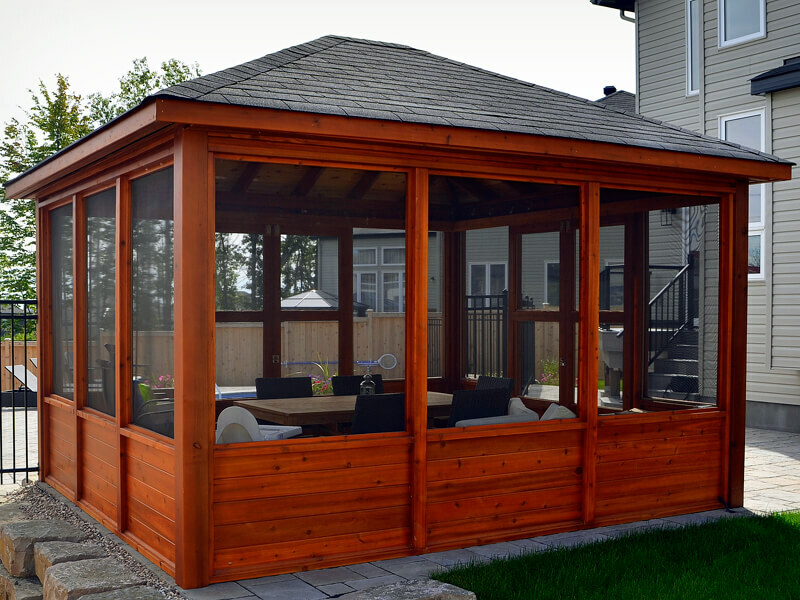 Built to withstand the weather, it will allow you to enjoy the summer. 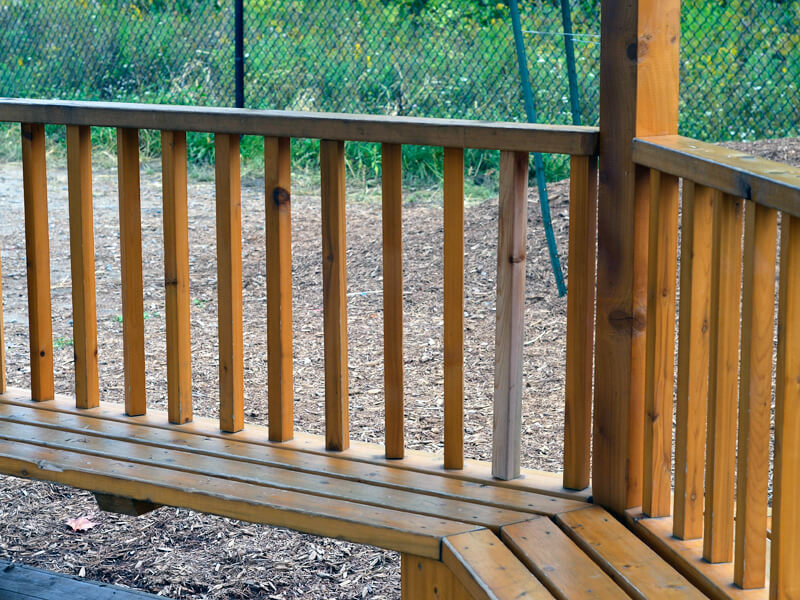 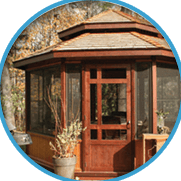 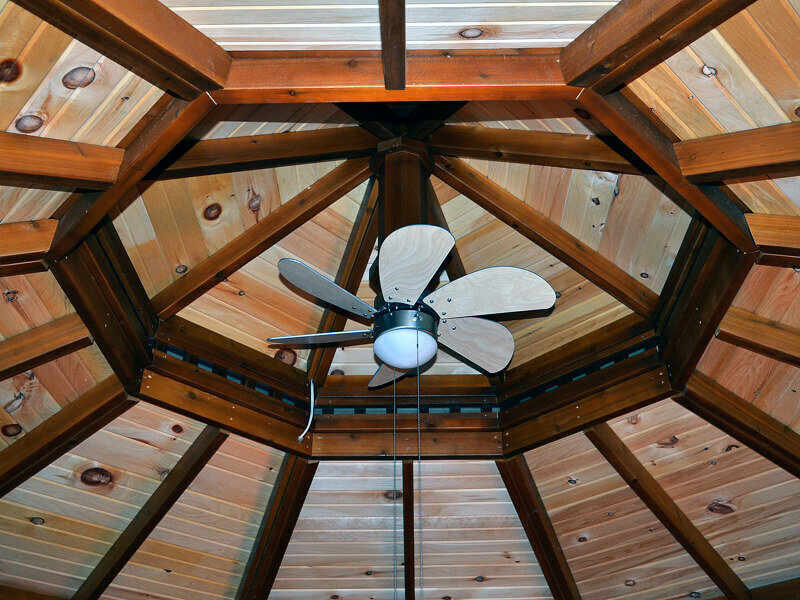 Assembled with premium western red cedar, the construction details make our gazebo incomparable to what it currently being sold on the market. 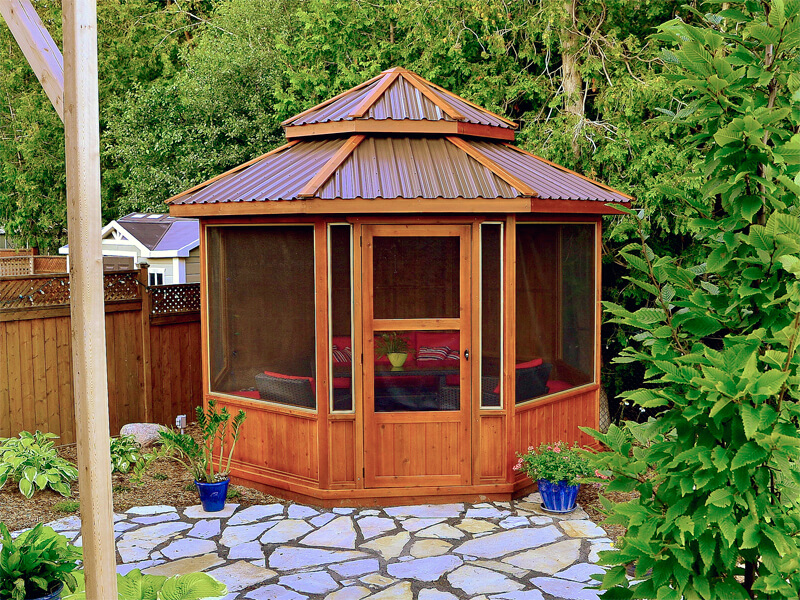 With mosquito nets and the possibility of adding Sunspace type windows, you will enjoy the summer over a long period.